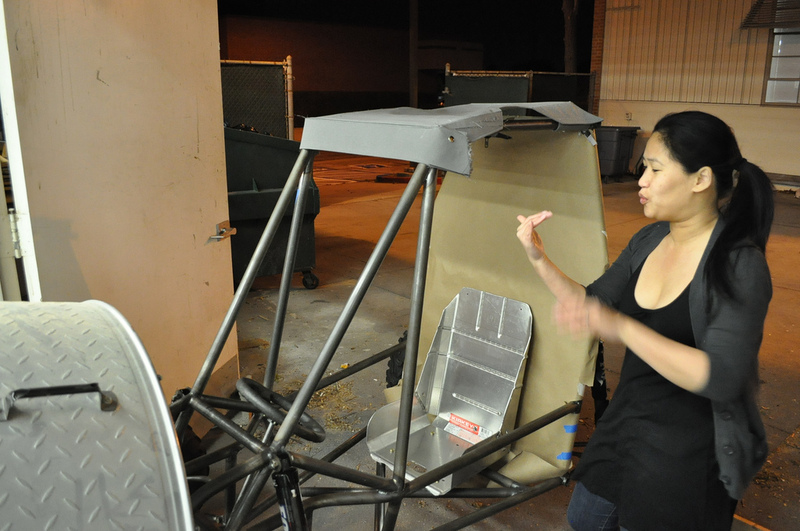 In order to guarantee the structural strength of the SAE Baja body, Project: HFM designers have used different methods and fabrication processes to test materials before testing in the desert. 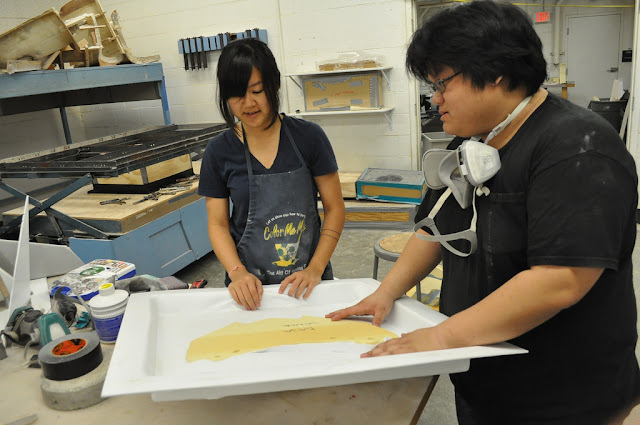 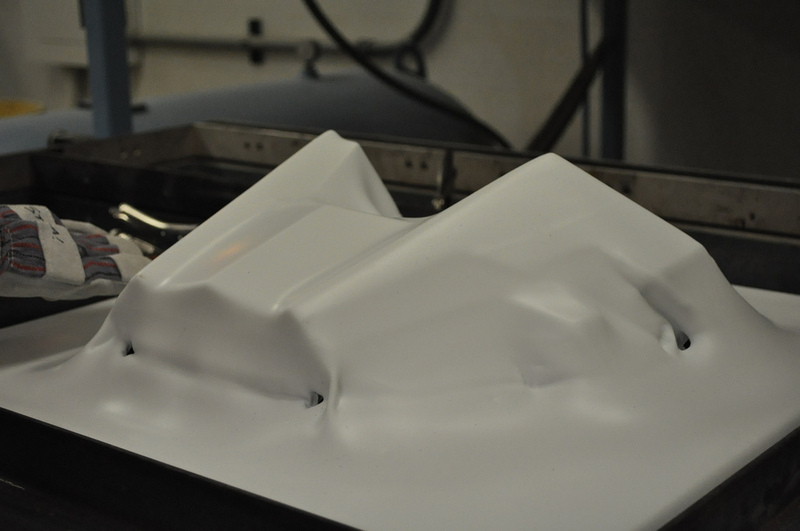 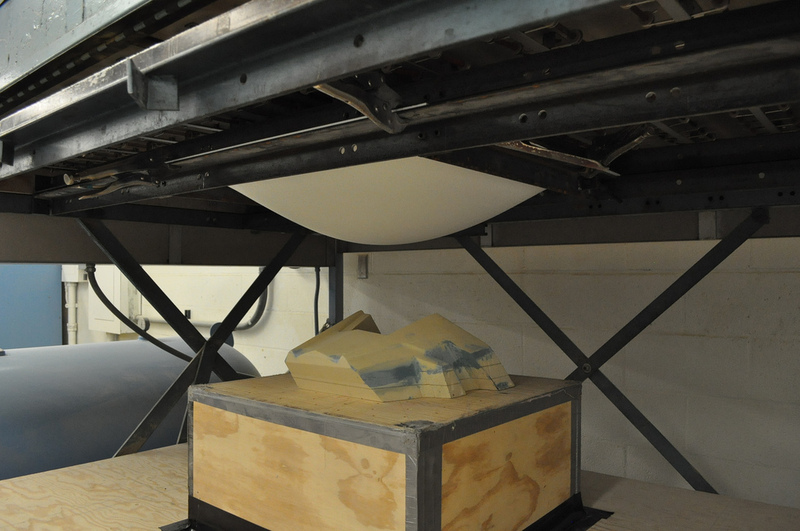 Such tests include preparing materials with different thicknesses, heat forming, and wind testing. 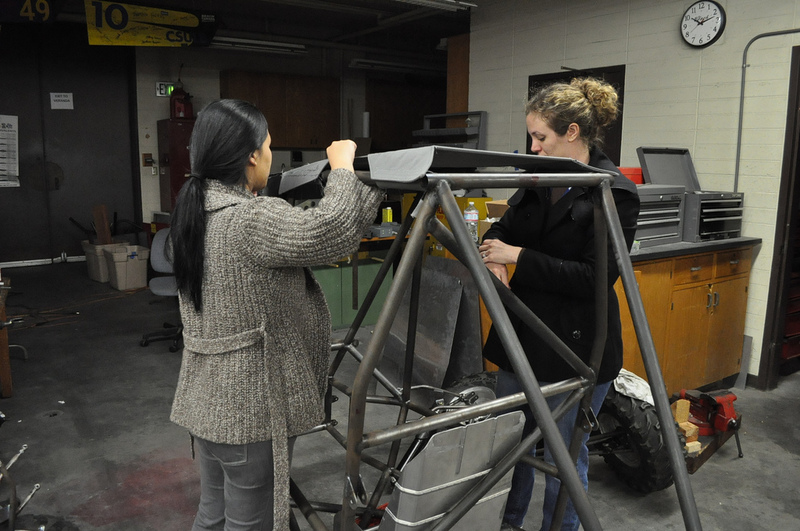 Kat Morse (above left) and Erin Bodner applying wind to the Baja Canopy and separating panel.